Happy New Year! Welcome to the January issue of the EastOrlando.com e-newsletter! The purpose of this e-newsletter is to be your guide to online resources in East Orlando, and to provide current and future residents of East Orlando the latest news and event information. We hope the information is useful and that you recommend this service to your friends, neighbors and associates. They can sign up and receive their own copy by registering at http://www.EastOrlando.com. Finally, please provide us your comments and suggestions so that we might service you better. 1. East Orange Relay for Life Kick-off Party. Date: January 8, 2003 (Wednesday) @ 5:30 PM. Location: Boardwalk Bowl. For more information, contact (http://www.eocc.org). 2. Emerging Business Network - Tech After Dark. Date: January 9, 2003 (Thursday), from 6:00 PM - 8:30 PM. Topic: "Coleman Company Culture: The Laws that Lead to Success." Speaker: Ben Patz. Location: Radisson Plaza Hotel in Downtown Orlando. For more information, contact (http://www.incubator.ucf.edu). 3. Red Bandanna Membership Jamboree. Date: January 10, 2003 (Friday), from 6:30 PM. Location: Winter Park Farmers Market, 721 W. New England Ave, Winter Park, Florida, 32817. For more information, visit (http://www.winterparkcc.org). 4. YMCA Seminar Series. Date: January 15, 2003 (Wednesday), from 11:30 AM - 1:30 PM. Topic: "Healthy New You." Speaker: Ben Patz. Location: Radisson Plaza Hotel in Downtown Orlando. For more information, visit (http://www.flhosp.org). 5. East Orlando Chamber of Commerce Luncheon. Date: January 15, 2003 (Wednesday), from 11:30 AM - 1:30 PM. Speaker: American Cancer Society. Location: Holiday Inn Select, 12125 High Tech Ave, Orlando, Florida, 32817. For more information, visit (http://www.eocc.org). 6. National Center for Simulation (NCS) Membership Meeting. Date: January 16, 2003 (Thursday), from 1:30 PM - 3:30 PM. Location: 3280 Progress Drive (Conference Room), Orlando, Florida, 32826. For more information, visit (http://www.simulationinformation.com). 7. Excellence in Entrepreneurship Certificate Course. Date: January 22 - February 12, 2003, 6-9 PM. Location: Business Administration Building, University of Central Florida (Executive Development Center). For more information, visit (http://www.incubator.ucf.edu). 8. Semi-Annual Winter Golf Scholarship Tournament. Date: January 28, 2003, 11:30 AM. Location: EastWood Golf Club. For more information, visit (http://www.eastwoodgolf.com). 9. Project Management Institute (PMI) - Central Florida Chapter. Date: February 4, 2003 (Tuesday), from 6-9 PM. Topic: “Risk Management" by Hector Delgado, Kennedy Space Center. Location: Radisson Hotel, 60 S. Ivanhoe Blvd, Orlando, Florida, 32804. For more information, visit (http://www.pmicfc.org). 10. Project Management Institute (PMI) - Central Florida Chapter. Date: April 1, 2003, from 6-9 PM. Topic: "E-Business Project Management: The Dawn of a New Discipline" by Keith Young, Integrity Solution, LLC. Location: Radisson Hotel, 60 S. Ivanhoe Blvd, Orlando, Florida, 32804. For more information, visit (http://www.pmicfc.org). 1. 2003 Florida Venture Capital Conference. Date: 15-16 January 2003. Location: Wyndham Palace Resort and Spa, Orlando, Florida. For more information, visit (http://www.flvencap.org). 3. Simulation Interoperability Standards Organization (SISO) Simulation Interoperability Workshop (SIW) Conference. Date: 30 March - 4 April, 2003. Location: Hyatt Orlando Hotel. For more information, visit (http://www.sisostds.org). 4. Aerosense 2003. Date: 21-25 April 2003. Location: Gaylord Palms Resort and Convention Center, Orlando, Florida. For more information, visit (http://www.spie.org/conferences/Calls/03/or/). STS-107 - Columbia is scheduled to launch on January 16, 2003. STS-114 - Atlantis is scheduled to launch on March 1, 2003. STS-115 - Endeavour is scheduled to launch on May 23, 2003. STS-116 - Atlantis is scheduled to launch on July 24, 2003. STS-117 - Endeavour is scheduled to launch on October 2, 2003. STS-118 - Columbia is scheduled to launch on November 13, 2003. 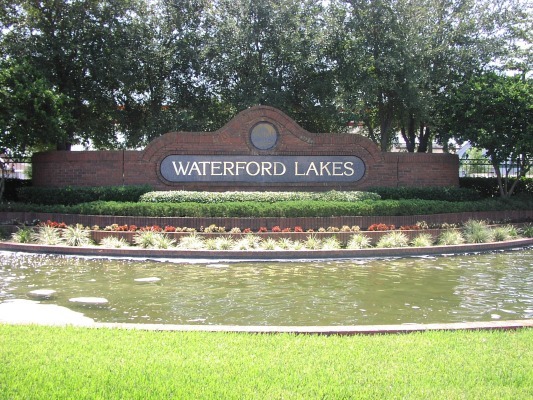 Click here to visit the villages of the Waterford Lakes community. The following business are currently under construction in the Waterford Lakes area: Atlanta Bread Company, LA Fitness, Star Child Academy, Sun Trust Bank, Waterford Lakes Animal Hospital and Waterford Lakes Car Wash.